For fifty years, pop music was created and consumed like this: you heard a record on the radio, or read about it in a music paper; you bought it on Saturday; you lent it to, or taped it for, a friend; and they reciprocated with another record. It was a secret network. It was how you made friends, how you met girls, and how you soundtracked your world. 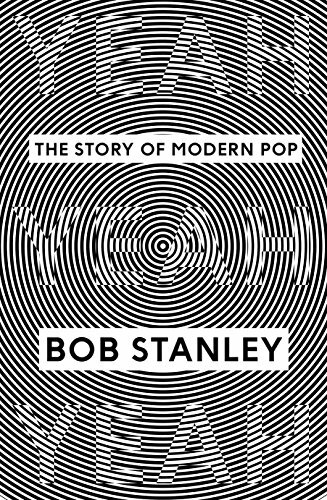 Bob Stanley's Yeah Yeah Yeah tells the chronological story of the modern pop era, from its beginnings in the fifties with the dawn of the charts, vinyl, and the music press, to pop's digital switchover in the year 2000, from Rock Around the Clock to Crazy In Love. There was constant change, constant development, a constant craving for newness. It was more than just music - it could be your whole life. Yeah Yeah Yeah covers the birth of rock, soul, punk, disco, hip hop, indie, house and techno. It also includes the rise and fall of the home stereo, Top Of The Pops, Smash Hits, and "this week's highest new entry". Yeah Yeah Yeah is the first book to look back at the entire era: what we gained, what we lost, and the foundations we laid for future generations. There have been many books on pop but none have attempted to bring the whole story to life, from Billy Fury and Roxy Music to TLC and Britney via Led Zeppelin and Donna Summer. Audacious and addictive, Yeah Yeah Yeah is essential reading for all music lovers. It will remind you why you fell in love with pop music in the first place. The complete story of the modern pop era: the era of vinyl, the Top 40, the NME, Smash Hits and Top of the Pops - when pop music defined pop culture.